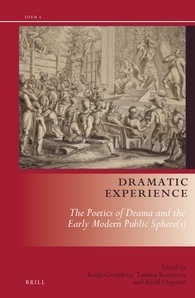 Over the last decade, Brill’s Drama and Theatre in Early Modern Europe-series has established a reputation in the study of early modern vernacular and Neolatin dramatic theory and performance, particularly on the Continent. The present volume, the outcome of a conference of the Early Modern European Drama and the Cultural Net project at the Freie Universität Berlin, makes a solid contribution to an already strong series. In eleven chapters spanning a wide geographical area ranging from Italy, Germany and France to Russia and examining an equally wide range of historical contexts and methodological approaches, the editors seek to examine ‘how the convergence of dramatic theory, theatrical practice and various modes of audience experience’ (1) worked to shape audiences into publics, and contributed to the rise of a public sphere, or perhaps more correctly, public spheres. The volume is prefaced by an introduction of admirable clarity and concision that establishes the shaping intellectual paradigms of the book: the scholarship on the public sphere in early modern Europe that developed in response to Habermas’ Strukturwandel der Offentlichkeit, the work of Joachim Küper on early modern drama as massmedium, and the work of Carl Schmitt, Walter Benjamin, Louis Marin and Hélène Merlin Kajman on the theatrical construction of sovereignty. The essays are almost without exception extensively researched, insightful, and at times innovative in their approaches. Deborah Blocker’s chapter on Jacopo Peri and Ottaviano Rinuccini’s musical drama Euridice, performed at the wedding of Maria de’ Medici to Henry IV of France, is a test-case example of the gains to be had from combining meticulous historical contextualization with attention to poetics and staged performance. Connecting the performance to the poetic and political views current within circles of the Florentine Academia degli Alterati, with which Rinuccini was associated, Blocker argues that the drama figures the relationship between the political power of the Medici court and its poets, musicians and patrons, in a way that emphasises the autonomous creative power of an art. The Italian Academies, in this case the Sienese Accademia degli Intronati, are also central to Katja Gvozdeva’s stimulating chapter on gender riddles and fool’s play in the comedy Gli’Ingannati (1532), that ought to find an audience reaching beyond scholars of Italian drama, to those interested in Renaissance cross-dressing performances on stage. In a carefully constructed argument that combines an anthropological perspective on the function of societies like the Intronati with an analysis of the comedy’s structural form, Gvozdeva claims the actions of the comedy’s cross-dressing heroine should not be seen as an exploration of gender ambiguity, but presents a visual and verbal riddle that works on several levels. Thus, Gozdeva argues that the ritual logic of the comedy shows us that the ambiguity created through the staging of cross-dressing is a ‘controlled uncertainty’ of public events that performs a similar function to that of rites of passage (71). Both the contributions of Gozdeva and Blocker; Kilian’s chapter on the creation of reading audiences in De Rojas’ Celestina and Machiavelli’s Mandragora, and that of Tatiana Korneeva on Carlo Gozzi’s L’amore delle tre melarance show the multiple, complex and overlapping forms in which the early modern publics took shape, and the complexity of the relationship between political power and artistic creation. Other essays, such as Hans Rudolf Velten’s essay on devils on- and off-stage in early modern Germany and Toni Bernhart’s contribution on popular theatre in Tirol examine the formation of audience into public from an urban or regional perspective. Kirill Ospovat and Nigel Smith’s chapters, by contrast, both focus their approach directly on the theatre’s relationship to sovereign power. Ospovat’s illuminating contribution on Sumarokov’s Russian adaptation of Hamlet, Gamlet (1748), a play that is commonly understood to dramatically re-enact Empress Elizabeth’s coup d’état, focusses on the play’s most significant departures from its source: Gamlet’s decision to condemn, and ultimately pardon, the guilty Polonii/Polonius. Examining the political context of the Elizabeth’s coup and the dramatical explorations of theme of royal pardon, such as Corneille’s Cinna and La Clemenza di Tito, Ospovat’s chapter explores the ambivalences of clemency as a marker both of absolute power and divine mercy, a highly theatrical effect ‘that grounds sovereignty in a strong emotional affect that is evoked among the publics both on and off stage’ (209). Nigel Smith’s learned and deeply-researched essay on a martyr-drama about the assassination (lynching) of the brothers De Witt by the Dutch Collegiant Joachim Oudaen, Haagsche broeder-moord, of dolle blydschap (Fratricide at The Hague, or, Mad Joy) (1673) offers an powerful counterpoint to Ospovat’s essay, by showing how Oudaen, a supporter of the De Witt-regime, intended his play not merely as a political statement, but as an aesthetic reflection on, and condemnation of, ethics of political violence. To both these essays and the purpose of the volume as a whole, Stanca Scholz-Cionca’s essay on nô theatre as cultural capital offers an illuminating comparison. Her contribution shows how during the Edo period nô gained heightened political significance as an instrument for the Shogunate to strengthen their dominance over the provincial powerholders, and as a tool for the self-fashioning of the Samurai elites, to the exclusion of the wider populace, who were increasingly reduced to the role of occasional, passive spectators. Despite these strictures, the influence of nô nevertheless extended downwards through a variety of other theatrical forms such as kabuki and puppet theatre, through the circulation of printed nô texts and practice of the chanting, thus contributing to formation of a national culture. There are also some quibbles. The volume is heavily weighted towards Italian drama, a decision which the editors defend on grounds of Italy’s dominating position both in terms of theatrical production and poetics and criticism. While this is no doubt true, a distribution of five out of eleven essays nevertheless feels somewhat unbalanced. Seeing the powerful cultural influence radiating outwards from the French court at Versailles, and the impact of French dramatists such as Corneille and Racine and dramatic theorists such as André Dacier, it is somewhat of a pity that the only essay on French drama, by Logan J. Connors, although lucidly written, is rather on the short side. Another question that remains unaddressed is that of the dialectical tension between the development of distinct national theatre cultures, and the international dimension of certain forms of theatrical practice, such as the translation of Spanish playwrights such as Lope Vega and Calderon into English or Dutch, or the activities of the strolling players; or between the national and regional public spheres, and the transnational public spheres created by the confessional conflicts of the Reformation and the Thirty Years’ War. Another question about the nature of the early modern public sphere is the absence of religion from most of the essays. Pointing to the lacunae in an otherwise varied and diverse collection of essays is always a bit of a shot into an open goal. But in a volume which expressly addresses the question of the creation of publics, the absence of a consideration of the role of Jesuit drama, or of that of the auto sacramental, is nevertheless striking, making the reader wonder about the implicit assumptions about the nature of the public sphere at work here. Despite these reservations, this is a stimulating and thought-provoking book, which will be gratefully received by scholars of early modern drama eager to look across the boundaries of their own specialism. Katja Gvozdeva, Tatiana Korneeva & Kirill Ospovat (red. ), Dramatic Experience. The Poetics of Drama and the Early Modern Public Sphere(s). Leiden: Brill, 2017. 328 pp. isbn: 9789004329751. € 149,–. Idolizing Authorship places itself on the borderlands between the sociology of literature, celebrity studies and good old hermeneutics. Throughout eleven case studies, delivered by as many scholars, the phenomenon of the ‘star author’ is approached from a variety of angles. Analyses are given of, for example, the ‘posture’ – i.e. the different discursive and non-discursive expressions surrounding an authorship, meant to make clear what kind of author we are dealing with – of such authors. Or of the ‘fan culture’ surrounding them, both while they were alive and posthumously. Or of their literary and nonliterary texts, which some contributors to the volume interpret as explorations of the theme of literary celebrity. The result is an exciting, kaleidoscopic exploration of, as the volume’s subtitle has it, ‘literary celebrity and the construction of identity’. In their clear, concise introduction, the editors point at several, as they call it, ‘tension fields’ (16) surrounding literary celebrity. First of all, they argue that literary celebrity is not semantically constant throughout time. Apart from the fact that calling Oscar Wilde or William Shakespeare ‘literary celebrities’ is an anachronism, their fame was certainly different from that of later celebrity authors surrounded by media hype, such as Gertrude Stein or Ernest Hemingway (16-17). Secondly, celebrity culture is never the only context in which a star author moves. Literature has its own field, with its own institutions, one that often is quite averse to ‘the popular entertainment, commerciality and mass production’ belonging to celebrity culture. Thus, the star author finds him- or herself in two diverging fields. The researcher analyzing such an author then has to decide whether literary celebrity should be seen as first of all ‘literary’ – i.e. based upon recognition within the field of literature – or as ‘celebrity’ – i.e. based upon ‘sales figures and media attention’ (17). Finally, there is a tension between ‘authorial self-presentation and public appropriation’ – between how celebrity authors present themselves and how the public perceives and re-presents them. All of the case studies that follow explore at least one or two of these tensions. This makes the volume remarkably coherent and, frankly, a pleasure to read. Star authors from a wide variety of literary contexts are discussed. There are historical examples, such as Johann Wolfgang Goethe – and a star author he was, as is shown with the help of pictures of contemporary merchandise such as marble and terracotta busts of the author depicted as an Olympian deity, as well as porcelain with scenes from his famous Die Leiden des jungen Werthers. And there are more contemporary case studies, such as Finnish author Sofi Oksanen, who is equally famous for glamourous photo sessions in women’s magazines that show off her striking gothic style, as for being a controversial public intellectual. Thus, the volume offers both internationally well-known and more nationally confined cases of literary celebrity. Most of the volume’s readers will be acquainted with Goethe, Ibsen, Proust, Ezra Pound and Haruki Murakami. That will probably not be true for authors such as the nineteenth century roguish Dutch poet Nicolaas Beets (‘The Dutch Byron’, as Rick Honings, who wrote this chapter, calls him, although he also points out that the extent to which Beets can be called a Byron is questionable), the Danish Holger Drachmann from the same period, who was an expert at, to use another anachronism, personal branding, and the social media-savvy contemporary Russian poet Dmitrii Vodennikov for who the author of the chapter devoted to him coins the delightful – and useful! – term literary e-self-fashioning. While looking at the more internationally well-known case studies, such as Goethe, from the angle of celebrity studies provides a refreshing new perspective, the more nationally confined case studies offer a smorgasbord of different expressions of literary celebrity in different contexts. Some chapters, such as the ones devoted to Louis Couperus, Haruki Murakami and Sofi Oksanen, offer fascinating author portraits. 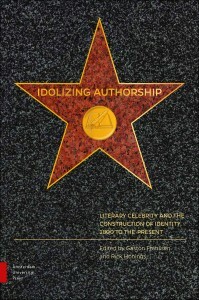 Often, the author is shown as struggling with on the one hand a desire for an acknowledgment beyond the literary field in the form of fame – either for its own sake, or because of the opportunities for intervention in the public debate or the financial security that may come with it – and on the other hand the erosion of their perceived authenticity and literary credibility that may be the result of such acknowledgment. Other chapters go beyond merely offering a portrait and give an analysis of the sociological, institutional and psychological dynamics that come with literary celebrity. The methodologically very thorough chapter about Holger Drachmann by Henk van der Liet is probably the best example of this. Drachmann is placed in the context of the ‘rise of the personality cults’ that took place in the latter part of the nineteenth century, as well as the phenomenon of the ‘literary copywriter, who no longer had a steady source of income […] and who was exclusively dependent on the sale of his or her texts’ (110-111). In regard to the latter, Drachmann managed to have his cake and eat it too, by on the one hand presenting himself as the antithesis of the copywriter, as living a bohemian life for the sake of art only, while on the other hand using precisely that image to stay ‘in the picture’ and thereby keeping ‘himself afloat’ (113), a double game that is played by many of the authors discussed in this volume. My only criticism of this volume would be that the case studies are presented rather compartmentalized, never referring to each other. This is a missed opportunity. One only needs to note how both the chapter about Nicolaas Beets and the one about Holger Drachmann discuss the intense relevance of Byron for both authors, or see the similarities through space and time in the ambiguity with which many of the authors presented in this volume relate to their own celebrity (often through the use of irony – either romantic or postmodern – in their posturing) to see how fruitful a more dialogic approach, either through cross-references within the case studies, or through a discussion by the editors in the introduction, could have been. All in all, however, this volume is a rich and welcome contribution to the study of literary celebrity, as well as related fields of inquiry such as the sociology of literature and celebrity studies. In 2004 gaf Joost Kloek zijn afscheidscollege aan de Universiteit Utrecht over de achttiende-eeuwse literatuur van Noord en Zuid als ‘een scheiding van tafel en bed’. Het is de eeuw waarin Noord en Zuid in literair opzicht ieder huns weegs gingen. In het Noorden had men geen benul van de literaire ontwikkelingen in het Zuiden en omgekeerd keek men in het Zuiden nauwelijks nog naar de literatuur van het Noorden. Kloeks idee van een scheiding lijkt bevestigd te worden door de twee delen die nodig bleken om de geschiedenis van de achttiende eeuw te beschrijven in de nieuwe Nederlandse literatuurgeschiedenis. In 2013 verscheen het alom geprezen deel over het Noorden (Worm en donder van Inger Leemans en Gert-Jan Johannes) en dit jaar zag De weg naar het binnenland van Tom Verschaffel het licht. In dit belangrijke pionierswerk biedt Verschaffel een uniek overzicht van de achttiende-eeuwse literatuur van het Zuiden, daarbij puttend uit veel eigen onderzoek en enkele oudere pioniersstudies als die van Jozef Smeyers. De verschijning van de twee delen bevestigt niet enkel de idee van een scheiding der geesten tussen Noord en Zuid, maar ook roept zij de vraag op of de territoriale scheidslijnen die overblijven (Oostenrijkse Nederlanden, Nederlandse Republiek) in literair opzicht niet even arbitrair zijn. Kunnen we wel spreken van ‘hét Noorden’ en ‘hét Zuiden’? Ook de literatuurgeschiedenis van het Noorden is er immers een van verschillende literaturen, zoals onder meer blijkt uit de regionale literatuurgeschiedschrijving. Zo was er in Limburg (anders dan in Holland) nog wel sprake van enig grensoverschrijdend literair verkeer tussen Noord en Zuid (zie Spronck, Van Melick & Kusters 2016). Pastoors die in het Zuiden waren opgeleid, verwierven aanstellingen in Staats-Brabant en schreven er hun stichtelijke verzen. Deze verscheidenheid van het literaire landschap kon ook een lokaal karakter hebben. Een stad als Den Haag onderscheidde zich bijvoorbeeld van Amsterdam door een levendige Franstalige literaire cultuur, met onder meer een Franstalige opera. In deze meertalige omgeving schreef Justus van Effen zijn eerste spectatoriale tijdschriften, eerst in het Frans (Le Misanthrope) en veel later pas in het Nederlands. Het zal niet verbazen dat ook de Nederlandse literatuur van het Zuiden nauwelijks een eenheid vormde. Door de nog bloeiende rederijkerscultuur was zij in hoge mate regionaal en lokaal verankerd. Ook talig was zij zeer divers. Meertaligheid is dan ook een van de kernbegrippen in Verschaffels verkenningstocht. Hij heeft een belangrijke stap gezet door die meertaligheid niet langer als een cultureel of literair probleem te beschouwen, maar eerder als een kwaliteit van de Zuidelijke letteren. Dankzij de nabijheid van het Frans kwam de Nederlandse literatuur er als vanzelfsprekend in aanraking met po.ticale opvattingen van elders, zoals Verschaffel laat zien aan de hand van de eerste vertalingen van Boileau’s invloedrijke Art poétique, die eerst in het Zuiden verschenen alvorens Noordelijke auteurs er kennis van konden nemen. Verschaffel gebruikt de meertaligheid echter niet of nauwelijks om verbanden te leggen met vergelijkbare situaties in het Noorden, terwijl dat toch zeker mogelijk geweest was, zoals het voorbeeld van Den Haag laat zien. De Zuidelijke literatuur van de achttiende eeuw heeft te kampen met een bijzonder slecht imago. Ik spreek hier van een imago, maar meestal is zelfs daar geen sprake van. Veel vaker blijkt zij niet meer dan een welhaast afwezig literair-historisch muurbloempje te zijn, zelfs in de ogen van de meest doorgewinterde Laaglandse dixhuitièmisten. Haar vermeende onbeduidendheid wordt veelal in verband gebracht met de langdurige en grote invloed van de rederijkerscultuur. De weg naar het binnenland maakt duidelijk dat de belangrijkste literaire vernieuwingen in het achttiende-eeuwse Zuiden juist op het conto van de rederijkers geschreven mogen worden. De Zuid-Nederlandse Boileauvertalingen verschenen bijvoorbeeld in een rederijkerscontext. Ook de belangrijkste innovaties op toneelgebied zijn op de rederijkerskamers terug te voeren. De Brusselse rederijker Francis de la Fontaine hield als eerste een pleidooi voor een nieuwe meer natuurlijke speelstijl van acteurs en Jan Frans Vander Schueren zette als lid van de Gentse kamer ‘De Fonteine’ het burgerlijk treurspel op de literaire kaart van het Zuiden. Het zou heel goed zijn als er in de toekomst meer onderzoek gedaan kon worden naar de Vander Schuerens van de Zuidelijke letteren. Het is om die reden jammer dat Verschaffel zijn betoog iets te vaak heeft voorzien van onnodig diskwalificerende opmerkingen ten aanzien van de achttiende-eeuwse literaire cultuur. Het lijkt net alsof hij steeds de noodzaak voelt om zich voor zijn onderwerp te excuseren. Een voorbeeld hiervan is de afsluiting van een boeiende paragraaf over de ‘rederijkerij’, waar de lezer op p. 102 enigszins ontnuchterd wordt achtergelaten: ‘Er is vaak gewezen op het traditionele karakter, de beperkte oorspronkelijkheid en de lage kwaliteit van de rederijkersliteratuur in de achttiende eeuw. Ongetwijfeld is dit (groten) deels terecht.’ Hoewel Verschaffel zelf in zijn inleiding stelt dat hij niet van zins is om kwaliteitsoordelen te geven, stuiten we in zijn boek toch regelmatig op dit soort negatieve karakteriseringen. Dat laatste werkt uiteraard niet erg motiverend voor onderzoekers die wellicht klaar staan om zich over dit tijdvak te buigen – terwijl daar toch alle reden toe is. Kijken we naar een van de opkomende literaire centra in de achttiende eeuw, Gent, dan valt het op dat daar enkele sterke literaire persoonlijkheden actief waren. De al genoemde Jan Frans Vander Schueren publiceerde er zijn Vlaemschen Indicateur, een platform van literaire vernieuwing in het Zuiden, bedoeld voor een breed publiek dat niet automatisch toegang had tot de Franse bellettrie of wetenschappelijke tijdschriften in die taal. Ook publiceerde Karel Broeckaert er zijn spectatoriale tijdschrift in Gents dialect, waarin de fascinerende politieke geschillen van de late achttiende eeuw opnieuw tot leven komen. De verlichte priester Jozef de Wolf tenslotte publiceerde er zijn gedichten (Den geest der reden, 1777), die zoveel ophef veroorzaakten dat zij door de keizerlijke censuur verboden werden. Er valt dus nog zeer veel te ontdekken op dit voor velen nog zo onbekende terrein. We mogen Tom Verschaffel daarom dankbaar zijn voor het belangrijke pionierswerk dat hij met deze studie verricht heeft. De zoektocht van Verschaffel voert ons naar een onontgonnen ‘binnenland’ dat wellicht ‘bergachtig en onherbergzaam’ is, zoals de auteur in zijn inleiding schrijft (p. 23). De kronkelende wegen daartussen zijn echter op zichzelf al fascinerend genoeg en de auteur verdient veel respect voor het feit dat hij het kapmes heeft willen hanteren om ons een blik te verschaffen op al die overgroeide zijpaden die nieuwe avonturiers in de toekomst hopelijk nog zullen betreden. 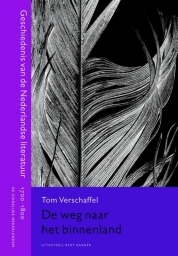 Tom Verschaffel, De weg naar het binnenland. Geschiedenis van de Nederlandse literatuur 1700-1800: de Zuidelijke Nederlanden. Amsterdam: Bert Bakker, 2017. 332 pp. isbn: 9789035143753. € 39,99. Kloek 2004 – Joost Kloek, Een scheiding van tafel en bed (met verweesde kinderen). Utrecht, 2004. Leemans & Johannes 2013 – Inger Leemans & Gert-Jan Johannes, Worm en donder. Geschiedenis van de Nederlandse literatuur 1700-1800: de Republiek. Amsterdam, 2013. Spronck, Van Melick & Kusters 2016 – Lou Spronck, Ben van Melick & Wiel Kusters (red. 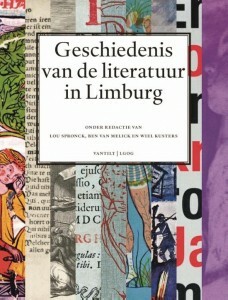 ), Geschiedenis van de literatuur in Limburg. Nijmegen, 2016. De Geschiedenis van de literatuur in Limburg is een kloek boekdeel van 770 bladzijden, onder redactie van Lou Spronck, Ben van Melick en Wiel Kusters. Het is chronologisch opgebouwd en bestaat uit vier delen die elk weer zijn onderverdeeld in één of meer, in totaal negen periodes. Elk van deze periodes wordt beschreven door een andere auteur. Deel 1: a. tot 1500 (Ludo Jongen), b. 1500-1793 (Herman van Horen & Hannie van Horen-Verhoosel). Deel 2: 1793-1893 (Lou Spronck). Deel 3: 1893-1945, onderverdeeld in a. 1893-1914 (Peter Winkels), b. 1914- 1940 (Wiel Kusters) en c. 1940-1945 (Jos Perry). Deel 4: 1945-2015, onderverdeeld in 1945-1965, 1965-1990 en 1990-2015 (alle door Ben van Melick). Wanneer men voor de beschrijving van de literatuurgeschiedenis van een dergelijk perifeer gebied kiest voor de chronologie van de canonieke literatuurgeschiedenis, die immers gebaseerd is op de ontwikkelingen in de culturele en literaire centra, roept men vanzelf moeilijkheden op. De grote vraag voor de auteurs is steeds geweest: wat is ons corpus? Tot 1893 rekenen ze zo ongeveer alle soorten teksten behalve die in Limburgs dialect tot het corpus. Als vuistregel hanteerde men de norm dat het gaat om (literaire) teksten die in Limburg zijn ontstaan, inclusief de ontwikkelingen van wat ‘het literaire veld’ wordt genoemd. Deze norm wordt wel flink opgerekt. Eronder vallen namelijk teksten van auteurs die in Limburg geboren en/of getogen zijn, die zich ooit in Limburg gevestigd hebben; en teksten die door taal, locatie, personages, motieven of thema’s ‘Limburgs gekleurd’ (p. 14) zijn. Dit brengt met zich mee dat het boek tot en met de negentiende eeuw vooral een cultuurgeschiedenis is aan de hand van teksten in het Nederlands, Latijn, Frans en Duits, waarbij geen genre werd uitgesloten, en naast de literaire ook de politieke en religieuze ontwikkelingen het volle pond krijgen. Pas na 1893 vindt er een zekere aansluiting plaats bij de literaire ontwikkelingen op nationaal niveau. In die zin hebben de auteurs van de periodes tot 1940 steeds flink moeten schipperen om het regionale materiaal in het canonieke kader te laten passen, terwijl de auteur van de periodes na 1965, toen tal van van oorsprong Limburgse schrijvers op nationaal niveau meedraaiden, juist moest zien te vermijden een doublure van dat nationale kader te geven. In de inleiding wordt onderkend dat het een hybride studie is geworden, vooral omdat bijna elke periode door een andere auteur is beschreven, waarbij de aanpak, opzet en methode steeds behoorlijk verschillen. Voor de mediëvist Ludo Jongen (tot 1500) is de esthetiek bepalend voor de norm wat een literaire tekst is. Na 140 bladzijden materiaal te hebben besproken, stelt het echtpaar Van Horen & Van Horen-Verhoosel (1500-1793) vast: ‘Van een literair centrum of klontering van literaire activiteiten rond toonaangevende personen is geen sprake. Het Maasland is na 1575 een cultureel perifeer gebied geworden, speelbal van de grote, steeds verder versnipperd, een territoriale lappendeken’ (p. 199). Hun materiaal bestaat dan ook uit kronieken, religieuze traktaten, pelgrimsboeken e.d., voor een aanzienlijk gedeelte in het Neolatijn geschreven. Eveneens door de grote diversiteit van zijn materiaal gedwongen kiest Lou Spronck (1793-1893) voor weer een andere opzet; hij schetst beknopt de grote cultuurhistorische lijnen van zijn periode en presenteert vervolgens een uitgebreid auteurslexicon. Peter Winkels (1893-1914) schetst het verzet van katholieke auteurs als Felix Rutten en Marie Koenen tegen de moderne, literaire opvattingen van Tachtig, waaraan de van oorsprong Limburgse Frans Erens volop meedeed (maar dan wel in Amsterdam). Wiel Kusters’ bijdrage (1914-1940) lijkt sterk op wat Knuvelder in zijn befaamde literatuurgeschiedenis deed: van een grote hoeveelheid auteurs beknopt het werk typeren en hun ontwikkeling schetsen, waarbij zo nu en dan aandacht wordt besteed aan een literair tijdschrift, en de politieke en culturele context wordt belicht. Dezelfde opzet heeft Jos Perry gekozen (1940-1945), zij het bij hem met meer nadruk op de cultuurhistorische dan op de literaire kant. Bert van Melick kiest voor een opzet die uitmondt in een reeks informatieve, maar heterogene essaytjes over van oorsprong Limburgse auteurs die inmiddels tot de canon van de Nederlandse literatuur behoren, zoals P. Hawinkels, Wiel Kusters, Huub Beurskens, Connie Palmen, Cyriel Offermans. Het belang van dit standaardwerk ligt op regionaal niveau. Het bevat een schatkamer aan gegevens over alle mogelijke aan het schrift gelieerde, al dan niet literaire activiteiten die in de loop van vijf eeuwen hebben plaatsgevonden in wat sinds 1839 Nederlands Limburg heet. Vanwege de gedegenheid waarmee dit omvangrijke materiaal is opgedolven en gedocumenteerd is dit rijkelijk geïllustreerde handboek een grote aanwinst voor de cultuurgeschiedenis van deze provincie. Weliswaar bevat het boek mooie essays over een aantal aan Limburg gelieerde schrijvers en dichters die op nationaal niveau publiceren, maar omdat de diepgang daarvan vanwege hun beknoptheid noodzakelijkerwijs beperkt is, is dit werk voor de geschiedenis van de nationale Nederlandse literatuur slechts zijdelings van belang. 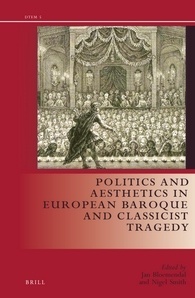 Politics and Aesthetics in European Baroque and Classicist Tragedy, edited by Jan Bloemendal and Nigel Smith, is a collection of 15 essays (the first of which is an extensive introduction by the editors) investigating the nature and uses of tragedy in a number of European countries in the early modern period. The focus is overwhelmingly on the seventeenth century; the final two essays address the eighteenth century. Most of the contributions strongly bring out the political implications of the tragic genre. By comparison, the ‘aesthetics’ of the title are less obviously represented; this volume is largely concerned with dramatic responses to and investigations of tyranny, sovereignty and resistance. As a volume that discusses an international body of source materials, this is a very welcome contribution to the increasing scholarly interest in the connections between different vernacular literatures, as opposed to the traditionally narrow focus on ‘national’ literatures. Such a cross-cultural and ‘multi-lingual’ approach has its potential pitfalls. For one thing, translating (long) quotations can potentially be quite cumbersome, and it is not always easy to address a mixed readership of native-speaking specialists and those unfamiliar with that specific vernacular and its literature. The contributors to this volume, however, admirably handle the inherent difficulties of writing in English about source materials in a variety of languages and make the material accessible to a wider audience – which, in my view, is one of the collection’s main assets and attractions. The volume consists of four sections. Part 1 focuses on sovereignty, mainly in the work of the Dutch poet and playwright Joost van den Vondel. Frans-Willem Korsten discusses different interpretations of ‘Roman-ness’ and Roman law in the Dutch Republic, as it relates to civil as opposed to imperial rule. Russ Leo focuses on Vondel’s (and other writers’) interpretation of the biblical figure of Samson, drawing out interesting ways in which biblical material could be adapted to make subtle and sophisticated political points. Freya Sierhuis investigates the evocation of Catholic ritual and rite in Vondel’s most famous play, Gysbreght van Aemstel. She is one of the few contributors explicitly to address the importance of performance, performativity and the role of the audience in the theatrical experience. Part 2 is devoted to religion, and specifically to Latin Counter-Reformation drama. The inclusion of Latin drama – and with it the inclusion of academic and other institutional drama – is among the most enlightening aspects of the collection. Neo-Latin writing often tends to be overlooked in academic studies (or viewed as a specialist subject in a category of its own). An unfortunate consequence of this is that the Protestant point of view so overwhelmingly present in the vernacular theatres of Northern Europe tends to dominate the critical discussion, to the detriment of the Catholic voice more usually expressed in Latin. All three contributions in this section work to redress the balance by bringing fascinating and important material to a new audience. Howard B. Norland’s essay discusses the performance of tragedies about historical and more recent martyrs (Thomas More, Thomas Becket and John Fisher) at the English College in Rome, providing a welcome counterweight to the substantial body of work on Protestant martyrologists such as John Foxe. James A. Parente’s chapter makes an important contribution by discussing the treatment of historical subjects in the plays of the prolific and important but too-little-known Jesuit dramatist Nicolaus Vernulaeus. Blair Hoxby’s chapter on Jesuit tragedians similarly emphasises Catholic uses of history rather than the much-discussed Protestant point of view. Part 3, on ethics, is somewhat less cohesive than the previous sections. Emily Vasiliauskas’s essay on akrasia does in the end briefly address Shakespeare’s Macbeth, but is overwhelmingly concerned with Edmund Spenser’s poem The Faerie Queene and Romance more generally. As a result this chapter sits somewhat uneasily in a volume dedicated to the tragic genre in stage plays. Sarah Knight’s insightful investigation of Latin tragedy in early modern education would have fit well within the previous section on Latin drama; it, too, focuses largely on tragedies of tyranny and ‘unsafe kingdoms’ in the context of Reformation and Counter-Reformation polemic. This chapter further draws out interesting connections between the performance aspects of rhetorical training, drama and other literary forms such as (published) sermons. Tatiana Korneeva’s essay on the ethical (or unethical) behaviour of rulers and subjects is the only contribution to address Italian drama. This erudite discussion of the re-interpretation of Spanish sources in Italian plays in some ways serves to draw attention to the lack of Spanish material in the collection as a whole. Christian Biet’s chapter on French tragedy also focuses on politics, in this case on the political implications of the aesthetical decision to represent atrocities on stage. He convincingly challenges the assumption that French drama is ‘classicist’ in its avoidance of staging bloodshed, by discussing earlier seventeenth-century plays that allow their audiences to experience tragedy in much more visceral ways. Part 4 on mobility comments on the ways in which texts speak to each other across vernacular cultures. Joel B. Lande’s contribution on the German Trauerspiel traces the development (and origins) of genre and poetic form, in the process drawing out important connections between the literature of the German lands and the Dutch Republic. Helmer Helmers similarly traces connections between different European stages and dramatic traditions, in this case using various incarnations of the story of Titus Andronicus. The discussion of the different ways in which England, Germany and the Dutch Republic were rewriting and appropriating a Roman past is an enlightening example of the insights that become possible when scholarship breaks through the traditional boundaries between vernacular traditions. The final two contributions, Nienke Tjoelker’s essay on French classicism in Jesuit drama and Kirill Ospovat’s chapter on the Russian dramatist Aleksandr Sumarokov take the discussion into the eighteenth century. This is an interesting coda to the volume, although the connection between the eighteenth-century authors and their seventeenth-century predecessors is perhaps not consistently clear. In short, this is a very diverse collection that includes a wide range of source material and approaches. This does somewhat complicate the internal cohesion of the collection. Some of the contributors (including the editors in their introduction) engage directly with genre and form and take pains to articulate what precisely constitutes the ‘baroque’ and ‘classicist’ tragedy. Others interpret the brief mainly by discussing the work of important seventeenth-century (and some eighteenth-century) authors who happened to write tragedies. The introduction goes some way to providing an overview of the tragic genre from classical times. It also provides an illuminating section on the Low Countries as a ‘literary staple market’ and a hub of cultural exchange in the early modern period – an issue, I think, worthy of its own dedicated volume of essays. Overall, the ‘European tragedy’ of the title seems to be an umbrella term to cover the contributions; this volume does not attempt to give a representative overview of the uses of tragedy across Europe. The Low Countries dominate the discussion, and the most immediately obvious gap is Spain, which is not represented apart from tantalising references by some of the contributors to the importance of Spanish sources for other vernacular dramas. That said, the collection forms a strong and timely reminder of the benefits of an international and inclusive approach to literary studies.